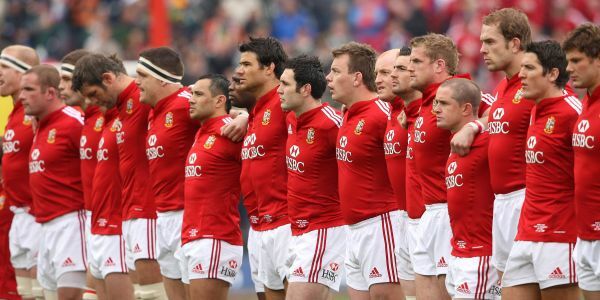 On Tuesday 30th April, the British and Irish Lions Touring squad was announced with some surprises. Head Coach Warren Gatland named a total of fifteen Welshman, three Scots, nine Irishman and ten Englishman who will all gain the honour of wearing the treasured red jersey. Wales flanker Sam Warburton was given the momentous privilege of being named Captain thus ensuring his place in the team for the Test matches against Australia, whereas all the rest of the party will be fighting it out for inclusion. There are some big name omissions in Chris Robshaw and Toulon and England icon Jonny Wilkinson, the factors regarding Wilkinson’s omission was explained by Warren Gatland, who confirmed speaking to the fly-half and Wilkinson stating that his body needs managing on a weekly basis meaning he would not be available. Warren Gatland also hinted that Wilkinson could be involved later on in the tour should the need arise. England Captain Chris Robshaw however can count himself unfortunate not to be included, but the British and Irish Lions squad is always tough to call especially in the forwards, as there is a wealth of talent to pick from. Forwards Coach Graham Rowntree added that he could be called upon if injuries arose, so all is not lost for the England Captain. One surprise inclusion was Saracens young prop Mako Vunipola, who only has nine England rugby tests under his belt so is inexperienced at the very highest level. Another unexpected inclusion was the Scotland winger Stuart Hogg, who had a good Six Nations Tournament. Backs Coach Rob Howley also stated that he has ‘A creative x-factor about him’, and his versatility was another reason for his selection, as the squad only has two recognised fly-half’s in Irelands Jonathan Sexton and Englands Owen Farrell. Other players who are included are England’s Manu Tuilagi, Ben Youngs, Dan Cole and Matt Stevens despite his international retirement. Ireland’s are represented by Tommy Bowe, Cian Healy, Conor Murray and former Lions Captain Brian O’Driscoll amongst others. In addition to Stuart Hogg, fellow Scot’s Sean Maitland and Richie Gray are also selected, with Wales fifteen players including George North, Alex Cuthbert, Leigh Halfpenny, Jamie Roberts, Mike Phillips and Adam Jones amongst others. The stakes are high for the Lions as their last tour victory was back in 1997 in South Africa, but the they are still favourites going into the series and the expectation is there to seal a winning tour.